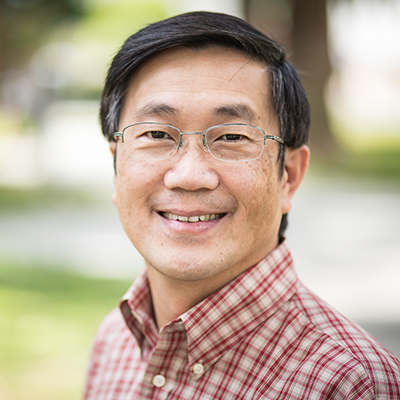 Click here to learn more about Dr. Lim and studying the intersections of race, cultural identity, and reconciliation. In September 2015, Peter Lim joined the School of Intercultural Studies faculty at the Pasadena campus. He came from Washington, where he taught for Fuller as an adjunct associate professor of intercultural leadership and served as a consultant on leadership development and cultural exchange with the Outreach Foundation/China Mission. In his past ministry experience, Lim says, “I have always been drawn by leaders who have the humility to connect one with another across cultures. My involvement with several mission organizations in the past decades helped expand my capacity in nurturing leaders to minister in intercultural settings.” Thus, from 2003 to 2008 Lim was the associate vice president and East Asia area director for Partners International. Prior to that, he served as senior minister of the Chinese Evangelical Church, Portland, Oregon. Lim’s academic teaching and speaking ranges from his teaching at Fuller Northwest to visiting lecturer or scholar at Jiangsu Theology Seminary and the Divinity School of Chung Chi College, CUHK. He has spoken on intercultural leadership at seminars and workshops in Australia, Belarus, Canada, China, Kazakhstan, Malaysia, Pakistan, Russia, Senegal, Singapore, Turkey, and the United States. Lim is married to Stephanie, and they have four adult children.